The Power Sythe (known previously as Allen Sythe) has two forward and reverse gears enabling it to cover larger areas. 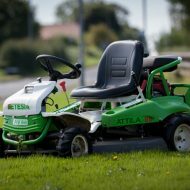 Suitable for cutting areas of grass not previously mown or for mowing wild flower meadows and bridal paths. 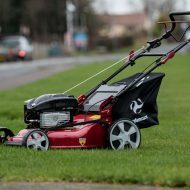 Gives a clean crisp finish by cutting the vegetation at its base. 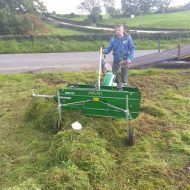 A duel wheel lock enables the power sythe to travel and cut across wet or difficult ground .